Apparel brand Woolrich‘s new flagship store in Milan has an Extreme Weather Condition Room that lets shoppers test the limits of Woolrich outerwear. Those who brave the freezing temperatures can try out jackets and other gear while they view immersive film footage of cold locations. 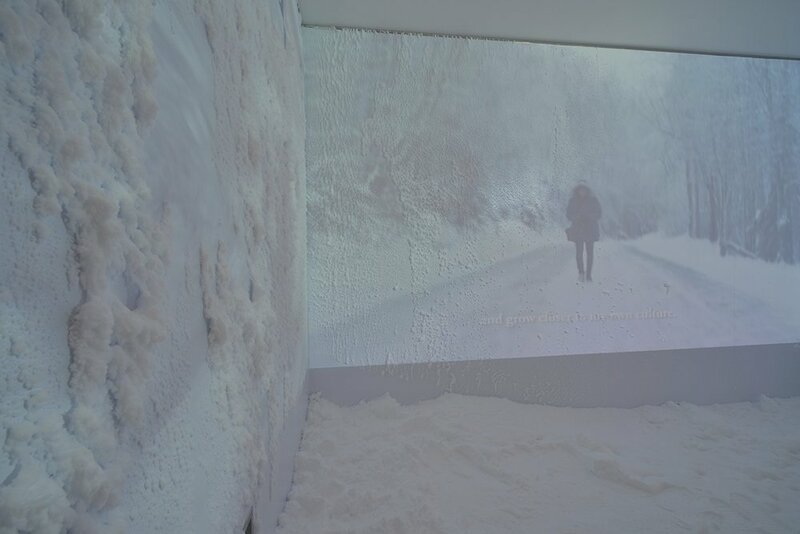 The room, which was designed by the Japanese studio Wonderwall, remains at temperatures below freezing, and a cooling cycle causes artificial snow to form overnight.